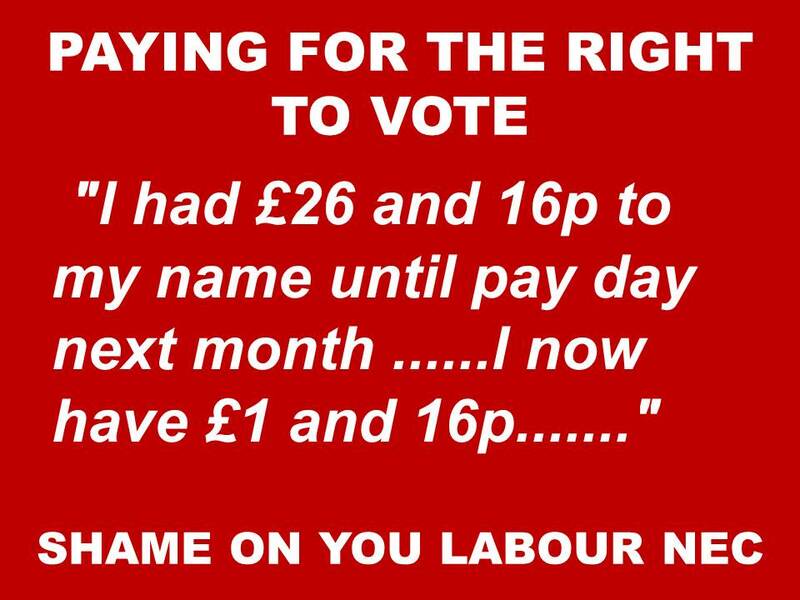 TALES FROM THE NET AND SOCIAL MEDIA SHOWING PEOPLE SACRIFICING THEMSELVES AND THEIR LAST SCRAP OF MONEY TO SUPPORT JEREMY AND VOTE FOR HIM. MF – Name Omitted to Protect. This should shame the greed and oligarchs of ambitious power hungry Labour MPs and PLP. They wont even sacrifice their expenses and their increase each year. Yet people with little and nothing will sacrifice everything and their last pennies for the Right to Vote. This is True Labour. This is True Spirit. This is the True Spirit of the British People who fought for the right to vote and wont be forgot and wont be Cut Out. People are shamed of their Parliament and government and party. That is why they want a change. « WITH FRIENDS LIKE JONESY WHO NEED ENEMIES – THERE, I HAVE SAID IT!